Administrators can send a view only assessment to teachers. Administrators have a few additional options when sending assessments to other users. 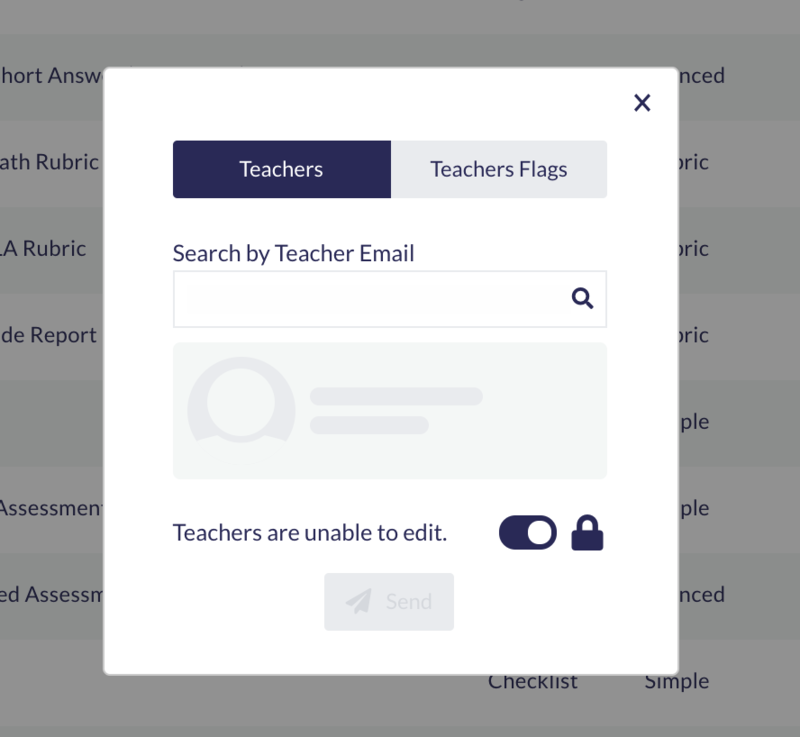 Otus makes it easy for administrators, or users who have administrator account access, to create common assessments and quickly share with individuals, or groups of teachers. Additionally, we have set the default sharing of these assessments to sending a locked copy to teachers, but you can easily share an unlocked version as well. What is a Locked Assessment? When you send a locked copy, you prevent others from modifying the assessment that has been shared with them. Additionally, the items in the assessment you have shared will not be added to another user's Item Bank. Teachers can still preview these locked versions and choose when to assign the assessment to their classes. Sharing a locked version of an assessment also allows administrators to view the assessment data for these assessments collectively. For example, an administrator could create a 5th Grade Unit 1 ELA Benchmark to share with all 5th grade teachers. 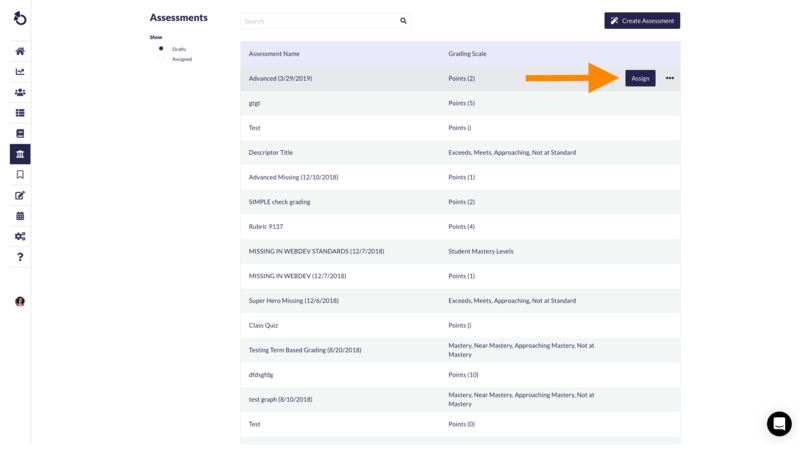 The data from all 5th grade students will be accessible as one assessment strand when the administrator views the results in the Analytics module, including query. When your are ready to share your assessment with a teacher or groups of teachers, click the ellipsis to the right of the desired assessment. Send your assessment to an individual teacher by entering their email address in the space provided. You have the option to send this as a locked or unlocked version by adjusting the toggle at the bottom of the popup. 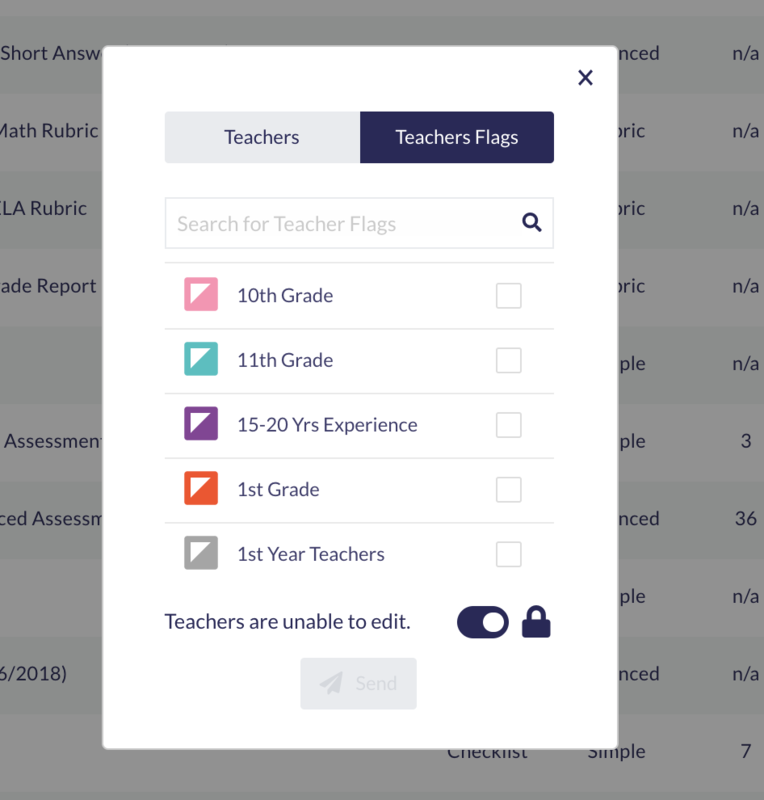 You have the option to send to groups of teachers by selecting the tab, Teacher Flags. ***Teachers must be assigned to these flags prior to sharing with these groups. If you would like to send an Unlocked Version of the assessment, adjust the toggle at the bottom on the popup screen. 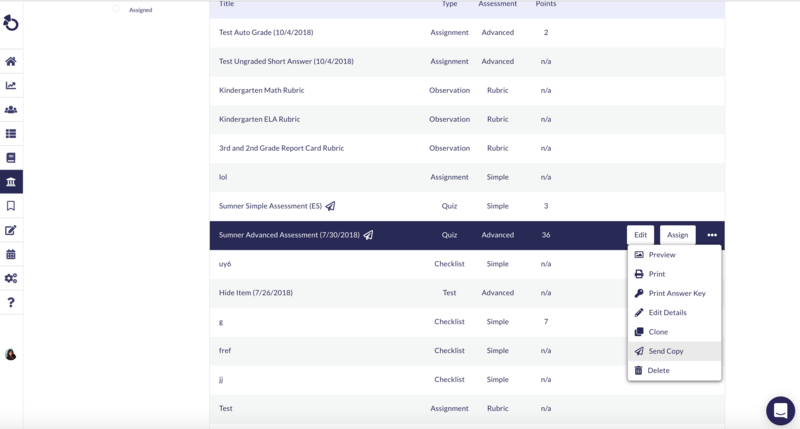 Once you're ready to assign the locked assessment to classes in your district so you can view analytics across classes, hover over the assessment and click Assign. Use the drop down under Select Classes to select the classes you wish to assign the assessment to, and fill in any other settings you wish to use. Make sure Assign as Locked Assessment is toggled to on, which should be the default from within an administrator account. When you're all set, click Assign!